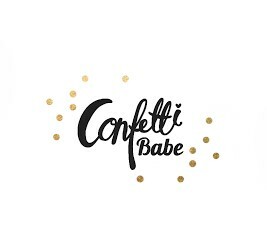 Confetti Babe: When Will it Happen?! Walking, standing, holding bottle, self-feeding... When does it happen? Zoey just turned 8 months and isn't doing any of these things. She's well advanced in other areas. She has 7 teeth in total, including ones peeking through. 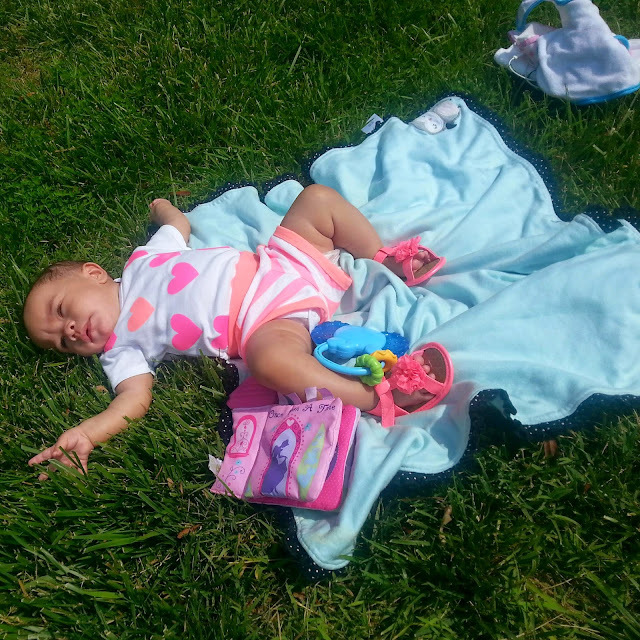 She has been crawling since 5 months. I assumed she would be holding her bottle herself by now. She pulls herself up very well and stands alone so I thought she would be walking by now. Am I rushing my child? Are my hopes too high? Am I doing something wrong? Why isn't she growing? I have asked myself all of these questions. 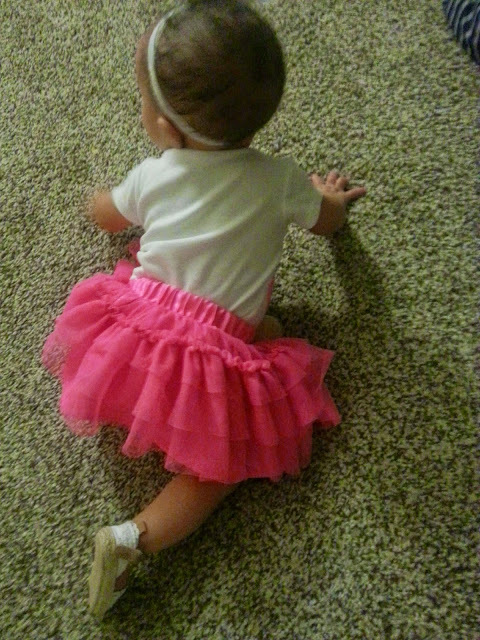 She is in the 10th percentile for her weight and barely in the 5th percentile for her height. 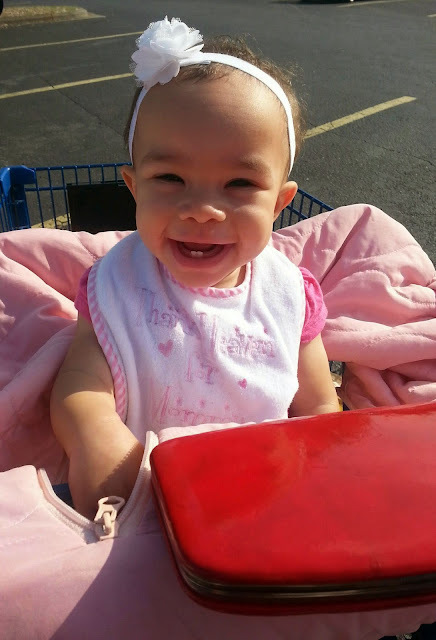 First shopping trip in the front of the cart! Being a new mom is scary. Every little thing that she isn't doing, but I was told she should be doing makes me paranoid. Following what your child is supposed to do or will do at certain month milestones will drive you crazy. I have learned to go with the flow and encourage her along the way. I feel as if we put so much pressure on ourselves as moms and it shouldn't be that way. All children learn and developed differently and will do things in their own time. Let's not rush and just enjoy the ride!